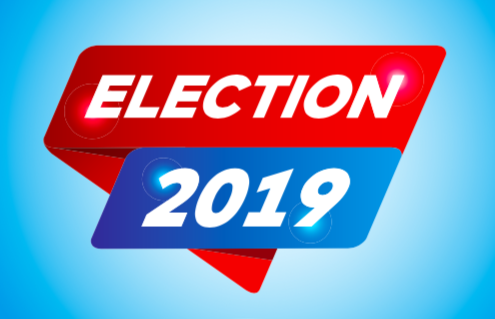 The West Hollywood Chamber of Commerce will host a forum on Tuesday of next week with candidates in the March 5 election for three seats on the WeHo City Council. The forum will be held from 6:30 to 9 p.m. in the City Council Chambers, 625 N. San Vicente Boulevard, south of Santa Monica. It will be moderated by Robert Kovacik, a reporter for the local NBC 4 television station. Participating in the arrangement of the forum is the League of Women Voters of Los Angeles. There are 11 candidates, three of them incumbents, running for three seats on the City Council. Each will be invited to make an opening and closing statement. At the end of the forum, candidates will be asked to answer questions submitted by members of the public, who are invited to attend free of charge. The city’s WeHoTV will broadcast the forum on its cable and web channels. WeHoTV is available to Spectrum (formerly Time Warner Cable) customers within West Hollywood on channel 10. AT&T U-verse customers across Southern California can access WeHoTV on channel 99. The forum will be available for live streaming and on-demand replay on the city’s website at www.weho.org/wehotv and on WeHoTV’s YouTube Channel at www.youtube.com/wehotv. WeHoTV programming is available on multiple streaming platforms, including Android TV, Apple TV, Fire TV, and Roku. Digital streaming platform viewers can easily find programming by searching for “WeHoTV” within the search functions of these services. While all 11 candidates have been invited to participate, two are not likely to show. Eric Jon Schmidt has told the Chamber of Commerce that he will not participate because he sees it as a partisan organization, citing its past endorsement of Council candidates and formation of a PAC to provide campaign contributions to those it supports. Schmidt’s partner, Jack Cline, also a candidate, also is expected not to attend. In addition to the Council election, there will be measures on the March 5 ballot. One, pushed by Unite Here Local 11, the restaurant and hotel workers union, would rescind the City Council’s previous approval of construction of the Arts Club on Sunset Boulevard. The other would levy at 7.5% tax on recreational marijuana sales in West Hollywood. The deadline for unregistered residents to register to vote is Feb. 19. There is a link to voter registration information, candidate profiles and Measure Y and Measure B information available on the city’s website at www.weho.org/elections. I would be delighted to vigorously participate in a debate if it were hosted by an unbiased organization. Too many caveats for personal convenience, especially for one who has evidenced an unwillingness to conduct themselves with an acceptable level of propriety. Eric – Your lack of answering questions from WeHoVille and your decision not to participate in the candidate forum because you think it’s biased, are indications that you are not a truly viable or even interested candidate. You have zero chance of prevailing. This will be an amazing opportunity to see and hear from all of the candidates who wish to participate in the process and legitimize their presence on the ballot. Bravo to the Chamber and the League for hosting this important step in the democratic process.